Kathryn Elizabeth Smith was born May 1, 1907 in the nation’s capital. From an early age she loved to sing and dance. She performed locally in theatres and at nightclubs and was discovered by a New York City show producer in 1926. She was featured in the musical comedy Honeymoon Lane on Broadway and later in Hit the Deck and Flying High. She was discovered in 1930 by Columbia Records vice president Ted Collins, who became her partner and manager and who put her on the radio in 1931. She was an immediate success on the air and she soon broke the record for longevity at the legendary Palace Theatre. Kate Smith and Ted Collins. In 1932 she had a cameo role in Paramount’s The Big Broadcast. Then she starred in her own movie, Hello Everybody! with co-stars Randolph Scott and Sally Blane. In 1943 she sang God Bless America in the Irving Berlin picture This is the Army. Kate began making records in 1926; among her biggest hits were River, Stay ’Way From My Door (1931), The Woodpecker Song (1940), The White Cliffs of Dover (1941), I Don’t Want to Walk Without You (1942), There Goes That Song Again (1944), Seems Like Old Times (1946), and Now Is the Hour (1947). In the fifties she began making LP albums, with such best sellers as Kate Smith at Carnegie Hall (1963), How Great Thou Art (1965), and America’s Favorites: Kate Smith/Arthur Fiedler/Boston Pops (1967). Her theme song was When the Moon Comes Over the Mountain, whose lyrics she helped write. 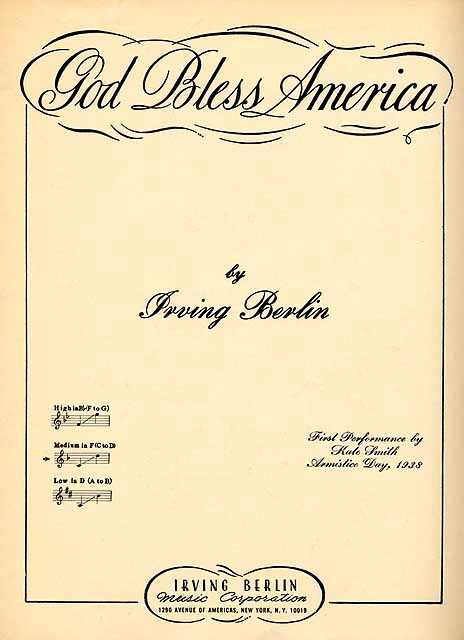 Irving Berlin regarded the song she made most famous, God Bless America, as his most important composition. In 1938 Kate predicted that the song would still be sung long after all of us are gone—and it surely will. She had the most popular radio variety program, The Kate Smith Hour, which aired weekly from 1937-45. At the same time she had the No. 1 daytime radio show, the midday Kate Smith Speaks, a news and com­mentary program. 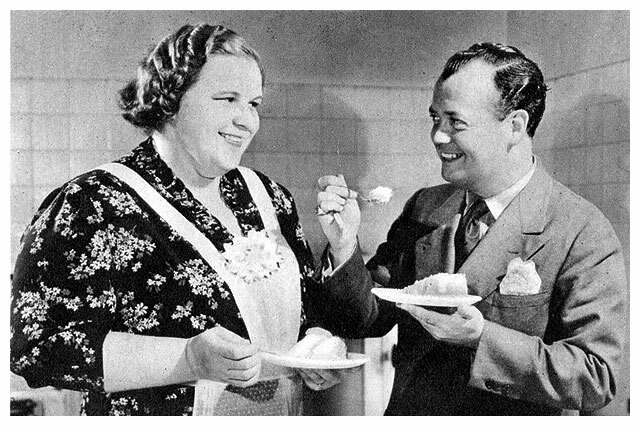 In 1939 General Foods Corporation published a 48-page paperback booklet entitled Kate Smith’s Favorite Recipes, from which the back page is included below. 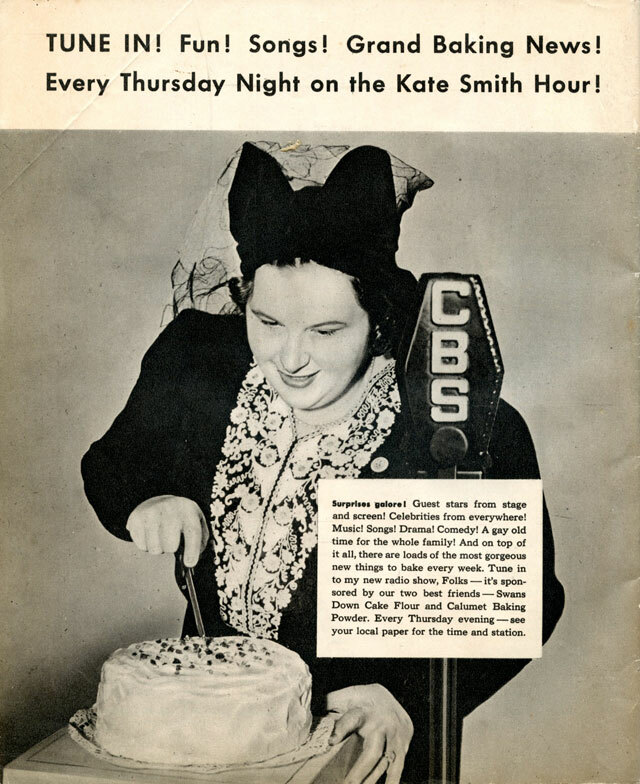 In 1950 Kate entered television with a Monday-Friday afternoon variety show, The Kate Smith Hour (1950-54). It proved so popular that NBC gave her a prime-time show on Wednesday evenings, The Kate Smith Evening Hour. 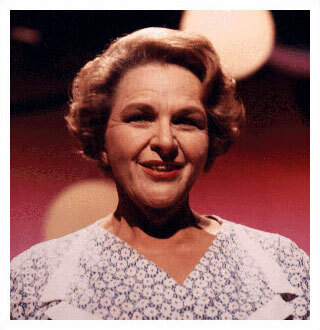 Her last TV series was CBS’s The Kate Smith Show, a weekly half-hour musical series in 1960. She made many guest appearances on top TV shows, such as The Ed Sullivan Show, The Tennessee Ernie Ford Show, The Jack Paar Show, ABC Hol­lywood Palace, The Dean Martin Show, The Smothers Brothers Comedy Hour, The Andy Williams Show, The Tony Orlando and Dawn Show, and The Donny and Marie Show. During the last decade of her career Kate gave dozens of live concerts in various American cities. In 1972-73 she had extended engagements at the largest nightclub in the Reno area, giving two shows each day. Kate ended her career on a high note. She became a singing good-luck charm for the Philadelphia Flyers hockey team with her renditions of God Bless America, helping to inspire them to two successive Stanley Cups (1974 and 1975). In 1976 she was named Grand Marshal of the Tournament of Roses Parade. Fittingly, the last song she sang was that Irving Berlin anthem on a bicentennial special just before July 4, 1976. She died in Raleigh, North Carolina on June 17, 1986. Sheet music attributing the song’s first performance. Click to hear Ms. Smith sing God Bless America.